2018 JEEP WRANGLER JK UN-LIMITED SAHARA 4WD 3.6L V6, 3-PIECE HARD TOP, MAX TOW PKG WITH CLASS II RECEIVER AND TOW HOOK'S, ROLL-OVER PROTECTION BAR'S, PRIVACY GLASS, RUNNING BOARD'S WITH SIDE STEP'S, SATELLITE RADIO AND MP-3 PLAYER, HEATED MIRROR'S, KEY-LESS ENTRY, SECURITY SYSTEM, TRACTION AND STABILITY CONTROL, FOG LAMPS, CD PLAYER,TRIP COMPUTER, LOW MILEAGE WITH ONLY 6K WITH BALANCE OF NEW 36/36,000 MILE FACTORY WARRANTY, EXTRA SHARP AND FUN TO DRIVE!! Clean Carfax, 1 Owner, Local Trade, Automatic, Freedom Hardtop, Electronic Stability Control. 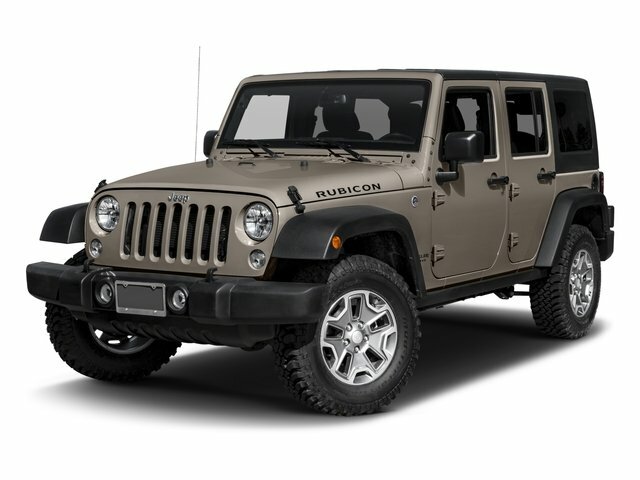 2018 JEEP WRANGLER JK SAHARA 4WD 3.6L V-6 / PREMIUM CLOTH SEAT'S / 3-PIECE HARD TOP / 18' SPORT WHEELS / CONVERTIBLE SOFT TOP / HEATED MIRRORS / TOW HOOKS / FOG LAMP'S / PRIVACY GLASS / ROLLOVER PROTECTION BAR'S / RUNNING BOARD'S WITH SIDE STEPS / KEY-LESS ENTRY / POWER OPTIONS / TRACTION & STABILITY CONTROL / LOW MILES @ 5K AND BALANCE OF 36/36,000 MILE FACTORY WARRANTY / TRIP COMPUTER'S / SECURITY SYSTEM / LED FOG LAMPS / SATELLITE RADIO / TRIP COMPUTER'S / EXTRA SHARP SAHARA!! 2018 Jeep Renegade 2.4L I4 9-Speed 948TE Automatic 16" x 6.5" Aluminum Wheels, 1-Yr SiriusXM Radio Service, 4-Wheel Disc Brakes, 7.0" Touch Screen Display, ABS brakes, Air Conditioning, Air Conditioning ATC w/Dual Zone Control, Apple CarPlay, Dual front impact airbags, Dual front side impact airbags, For More Info, Call 800-643-2112, Google Android Auto, GPS Antenna Input, Passive Entry Remote Start Package, Passive Entry/Keyless Go, Power & Air Group, Power Heated Mirrors, Quick Order Package 2EA, Radio: Uconnect 4 w/7" Display, Remote Start System, SiriusXM Satellite Radio, Speed Control, Sport Appearance Group, Uconnect 7.0 Group, USB Host Flip.CARFAX One-Owner. Clean CARFAX. 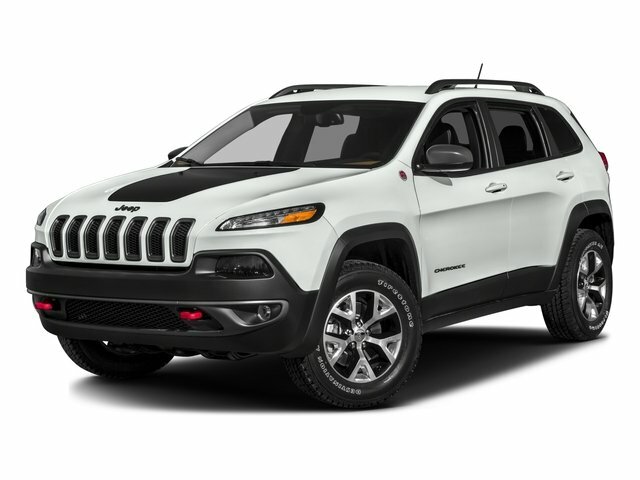 2018 Jeep Cherokee 2.4L I4 9-Speed 948TE Automatic 4-Wheel Disc Brakes, 7 & 4 Pin Wiring Harness, 9 Amplified Speakers w/Subwoofer, ABS brakes, Anti-whiplash front head restraints, Auxiliary Transmission Oil Cooler, Blind spot sensor: Blind-spot Monitoring warning, Class III Receiver Hitch, Dual front impact airbags, Dual front side impact airbags, GPS Navigation, Heated front seats, Leather Trimmed Bucket Seats, Navigation System, Power driver seat, Power Liftgate, Quick Order Package 24G, Security system, SiriusXM Traffic, Speed control, Trailer Tow Group, Trailer Tow Wiring Harness, Wheels: 18" x 7" Painted Aluminum.CARFAX One-Owner. Clean CARFAX. 2017 JEEP GRAND CHEROKEE LAREDO 4WD 3.6L V6, PREMIUM CLOTH BUCKET SEATS, MP-3 PLAYER, BLUETOOTH CONNECTION, EXTRA POWER OPTIONS, BALANCE OF NEW FACTORY WARRANTY, PRIVACY GLASS, HEATED MIRRORS, WOOD-GRAIN INTERIOR TRIM, MULTI-ZONE A/C, KEY-LESS ENTRY & START, TRACTION & STABILITY CONTROL, REAR BACK-UP CAMERA, LED FOG LAMPS, TRIP COMPUTER, DAYTIME RUNNING LIGHTS, EXTRA SHARP AND WELL MAINTAINED!!!! 4WD, Keyless entry and exit with push button start, 18 inch alloy wheels with new tires, Uconect 8.4 inch touchscreen, Rear view camera, Power seats!! 2017 Jeep Cherokee 2.4L 4-Cylinder SMPI SOHC 9-Speed 948TE Automatic 5.0 Touchscreen, 17" x 7" Aluminum Wheels, 1-Year SiriusXM Radio Service, 4-Wheel Disc Brakes, ABS brakes, Air Conditioning ATC w/Dual Zone Control, All-Season Floor Mats, Cold Weather Group, Comfort/Convenience Group, Dual front impact airbags, Dual front side impact airbags, Engine Block Heater, For More Info Call 800-643-2112, Front fog lights, GPS Antenna Input, Heated Front Seats, Heated Steering Wheel, Humidity Sensor, No Satellite Coverage, HI/AK, Passive Entry/Keyless Go, Power 4-Way Driver Lumbar Adjust, Power 8-Way Driver Seat, Power Heated Mirrors, Power Liftgate, Premium Air Filter, Quick Order Package 24J, Rear-View Auto-Dimming Mirror w/Microphone, Remote Proximity Keyless Entry, Remote Start System, Security Alarm, SIRIUSXM Satellite Radio, Speed control, Universal Garage Door Opener, Windshield Wiper De-Icer.CARFAX One-Owner. Clean CARFAX. 2017 Jeep Renegade 2.4L I4 MultiAir 9-Speed 948TE Automatic 4.438 Axle Ratio, Alloy wheels, Four wheel independent suspension, Quick Order Package 27J, Remote keyless entry, Speed control, Spoiler.CARFAX One-Owner. Clean CARFAX. Clean Carfax, Local Trade, 4WD, Backup Camera, Electronic Roll Mitigation, Tow Package. Navigation, Sunroof, Leather Seats, Heated Seats, Tire and Wheel Package, AWD, Panoramic Roof, 4WD, 10 Speakers, Navigation System. 4X4 UNLIMITED SAHARA...3.6L V6...CONNECTIVITY GROUP...TRAC-LOK REAR AXLE...AUTOMATIC...HARD TOP! 1 Owner, Well Maintained, Electronic Stability Control, Integrated Voice Command w/Bluetooth, SIRIUSXM Satellite Radio, SiriusXM Traffic. 9-Speed 948TE Automatic 2.4L 4-Cylinder SMPI SOHCRecent Arrival! One Owner, Clean Carfax, Heated & Cooled Seats, Panoramic Roof, Backup Camera, Leather Seats, Navigation, 7 & 4 Pin Wiring Harness, Accent Color Exterior Mirrors, Air Conditioning ATC w/Dual Zone Control, Auxiliary Transmission Oil Cooler, Class III Receiver Hitch, Comfort/Convenience Group, Exterior Mirrors Courtesy Lamps, Exterior Mirrors w/Heating Element, Exterior Mirrors w/Memory, Exterior Mirrors w/Supplemental Signals, Heated Front Seats, Heated Steering Wheel, Humidity Sensor, Jeep Rack Off Road Accessory Kit, Leather Interior Group, Leather Trimmed Bucket Seats, Passive Entry/Keyless Go, Power 4-Way Driver Lumbar Adjust, Power 8-Way Driver Seat, Power Liftgate, Power Multi-Function Fold Away Mirrors, Premium Air Filter, Premium Leather Trimmed Bucket Seats, Quick Order Package 27E, Radio/Driver Seat/Exterior Mirrors Memory, Rear-View Auto-Dimming Mirror w/Microphone, Remote Proximity Keyless Entry, Remote Start System, Security Alarm, Trailer Tow Group, Trailer Tow Wiring Harness, Universal Garage Door Opener, Ventilated Front Seats, Ventilated/Heated Seat Group. Clean Carfax, 40GB Hard Drive w/28GB Available, 5-Year SIRIUSXM Travel Link Service, 6.5" Touchscreen Display, Accent Stitching, Alpine 9-Speaker w/All Weather Subwoofer, Audio Jack Input for Mobile Devices, Auto-Dimming Mirror w/Reading Lamp, Black/Chrome Screws Fuel Filler Door, Chrome/Leather Wrapped Shift Knob, Connectivity Group, Deep Tint Sunscreen Windows, Driver Height Adjuster Seat, Dual Top Group, Front 1-Touch Down Power Windows, Front Seat Back Map Pockets, GPS Navigation, Heated Front Seats, Hood w/Power Dome, Jeep Trail Rated Kit, Leather Trimmed Bucket Seats, Leather Wrapped Steering Wheel, Low Gloss Black Wrangler Decal, MOPAR Slush Mats, Power Convenience Group, Power Heated Mirrors, Power Locks, Premium Black Sunrider Soft Top, Premium EVIC Message Center, Quick Order Package 24J Rubicon Hard Rock, Radio: 430N, Red Front & Rear Tow Hooks, Red Trail Rated Badge, Remote Keyless Entry, Remote USB Port, Rubicon Hard Rock Package, Rubicon Hood Decal, Security Alarm, Silver Interior Accents, SIRIUSXM Travel Link, Steel Front Bumper, Steel Rear Bumper, Sunrider Soft Top, Tire Pressure Monitoring Display, Uconnect Voice Command w/Bluetooth, Vehicle Information Center, Wheels: 17" x 7.5" Polished Semi-Gloss Black. Clean Carfax, Backup Camera, 4.10 Rear Axle Ratio, 40GB Hard Drive w/28GB Available, Class II Receiver Hitch, Connectivity Group, GPS Navigation, Leather Wrapped Steering Wheel, Max Tow Package, Quick Order Package 24R, Remote Start System, Remote USB Port, Tire Pressure Monitoring Display, Trailer Tow w/4-Pin Connector Wiring, Uconnect Voice Command w/Bluetooth, Vehicle Information Center. CARFAX One-Owner, Navigation, 18 inch fuel wheel with BFG all terrain tires, Sunrider Soft Top, LOCAL trade! !